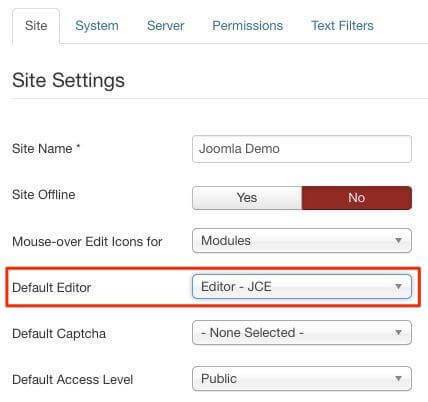 JCE is a content editor for Joomla! and an alternative to the built-in editor that comes with every Joomla! installation. JCE adds extra functionality for working with images, media, files and links, and it can be customized to suit the requirements of your site. There’s a free version with includes the JCE component itself, plus some modules and plugins, or you can get access to additional add-ons with a paid JCE subscription. Read reviews and access downloads on the Joomla! Extension Directory (JED). Download the JCE component and install it like any other extension by logging into the backend of your site, then Extensions > Manage > Install. 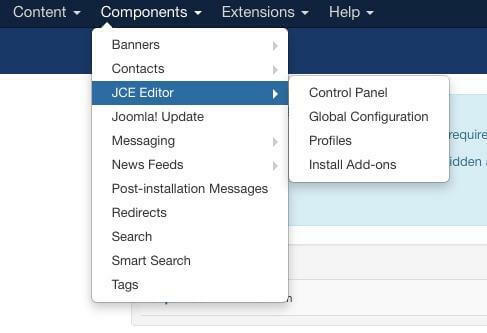 Once it’s installed, go to Components > JCE Editor to configure your options. System > Global Configuration > Site and set JCE as the default editor. 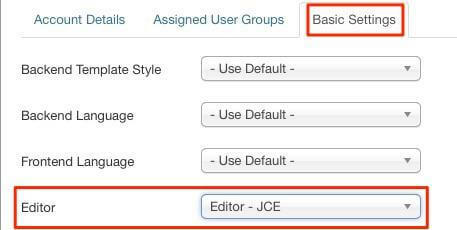 To set JCE as the editor for an existing user on your site, go to Users > Manage, locate the user, then set the default editor under the Basic Settings > Editor.